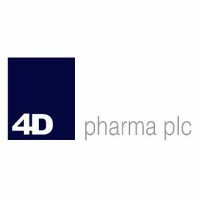 Shares of 4d Pharma PLC with EPIC code: LON:DDDD has climbed 6.84% or 8 points during the course of today’s session so far. Buyers have remained positive throughout the session. The periods high has already touched 125 and hitting a low of 119.36. The number of shares traded by this point in time totalled 17,931 while the average shares exchanged is 17,427. The 52 week high for the share price is 250 which is 133 points in difference to the previous days close of business and a 52 week low sitting at 76.99 making a difference of 40.01 points. 4d Pharma PLC now has a 20 SMA at 103.06 and now the 50 day simple moving average now of 112.74. The market capitalisation currently stands at £81.87m at the time of this report. The share price is in Great British pence. Mcap is measured in GBP. This article was written with the last trade for 4d Pharma PLC being recorded at Thursday, March 21, 2019 at 11:44:48 AM GMT with the stock price trading at 125 GBX. Stock in Anglo American plc ticker code: LON:AAL has climbed 2.22% or 44.3 points during the course of today’s session so far. Market buyers have stayed positive during the session. Range high for the period has seen 2049 meanwhile the session low reached 2022.5. The volume total for shares traded up to this point was 1,066,541 with the daily average at 4,213,248. The stock 52 week high is 2078.5 around 85.3 points difference from the previous close and the 52 week low at 1433.64 making a difference of 559.56 points. Anglo American plc has a 20 day moving average of 2025.05 with a 50 day moving average of 1952.48. The market cap now stands at £28,779.50m at the time of this report. Share price is traded in GBX. Mcap is measured in GBP. This article was written with the last trade for Anglo American plc being recorded at Thursday, March 21, 2019 at 12:02:05 PM GMT with the stock price trading at 2037.5 GBX. Shares in Antofagasta plc ticker lookup code: LON:ANTO has increased 1.36% or 13 points throughout the session so far. Traders have stayed positive during the trading session. The period high has peaked at 993.1 and a low of 967.8. The amount of shares exchanged has so far reached 554,136 whilst the daily average number of shares exchanged is just 2,563,102. The 52 week high price for the shares is 1171.5 which is 213.3 points difference from the previous days close and putting the 52 week low at 713.2 making a difference of 245 points. Antofagasta plc now has a 20 moving average of 955.48 and now a 50 day MA at 899.77. The market capitalisation is now £9,626.21m at the time of this report. Share price is traded in GBX. Mcap is measured in GBP. This article was written with the last trade for Antofagasta plc being recorded at Thursday, March 21, 2019 at 12:02:03 PM GMT with the stock price trading at 971.2 GBX. The trading price for EVRAZ plc ticker code: LON:EVR has risen 1.3% or 7.8 points during today’s session so far. Investors seem confident during the session. Range high for the period so far is 613.8 and a low of 600. The total volume of shares exchanged so far has reached 1,476,688 whilst the average number of shares exchanged is 3,082,656. The 52 week high for the shares is 634.8 equating to 36.2 points difference from the previous close and the 52 week low at 353.2 making a difference of 245.4 points. EVRAZ plc now has a 20 simple moving average of 591.02 and now the 50 day moving average now of 539.04. The current market capitalisation is £8,752.48m at the time of this report. The currency for this stock is GBX. Market cap is measured in GBP. This article was written with the last trade for EVRAZ plc being recorded at Thursday, March 21, 2019 at 11:59:38 AM GMT with the stock price trading at 606.4 GBX. Shares of Experian plc with company EPIC: LON:EXPN has risen 1.87% or 38 points during today’s session so far. Market buyers have remained positive during this period. Range high for the period has seen 2076 and a low of 2036. The total volume traded so far comes to 369,287 whilst the daily average number of shares exchanged is just 1,534,438. A 52 week share price high is 2076 which is 42 points in difference on the previous days close and a 52 week low being 1494.5 a difference of some 539.5 points. Experian plc now has a 20 simple moving average of 2032.58 with a 50 day moving average at 1995.15. The current market cap is £18,855.74m at the time of this report. The share price is in GBX. Mcap is measured in GBP. This article was written with the last trade for Experian plc being recorded at Thursday, March 21, 2019 at 11:59:38 AM GMT with the stock price trading at 2072 GBX. The share price for Fresnillo Plc company symbol: LON:FRES has moved up 3.67% or 29.4 points during today’s session so far. Traders have remained positive during the session. Range high for the period has seen 849 and a low of 812.4. Volume total for shares traded at this point reached 895,320 whilst the daily average number of shares exchanged is just 1,681,549. The 52 week high is 1364.5 about 563.9 points different to the previous business close and a 52 week low sitting at 737.6 is a variance of 63 points. Fresnillo Plc now has a 20 simple moving average of 861.66 with a 50 day moving average now of 922.01. This puts the market capitalisation now at £6,116.22m at the time of this report. Share price is traded in GBX. Mcap is measured in GBP. This article was written with the last trade for Fresnillo Plc being recorded at Thursday, March 21, 2019 at 12:02:07 PM GMT with the stock price trading at 830 GBX. Click AAL ANTO DDDD EVR EXPN FRES for the full archive.